In this first edition of High Net Worth Investing, Singaporean Sam Phoen wants to demystify investment concepts and financial products. 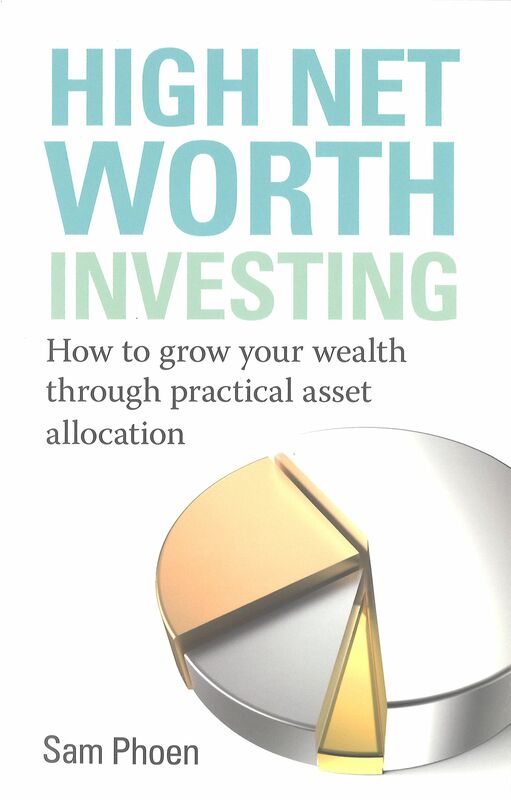 Written in a concise and reader-friendly manner, it offers a practical guide not just for high-net-worth individuals, but also for those hoping to invest their way to becoming well off. Mr Phoen is an active investor and trainer in financial market instruments and products. The chapter on real estate offers tips on factors you should consider before making purchases and a list of triggers to consider before selling. Among the products covered are equity-linked notes, dual currency investments, structured deposits, unit trusts and insurance. 1. Beyond the traditional asset classes of stocks, bonds and cash, there are other asset classes like real estate and private equity to diversify your investment portfolio. Know what they are, how to value them and decide if they are suitable for you. 2. Foreign exchange risks exist in most investments. For example, one of the biggest risks in foreign real estate investment is the forex exposure. Pick the loan currency with care as potential capital gains could easily be wiped out by unfavourable currency swings. 3. Understand what you are buying. Sellers cannot and will not do all the thinking for you. You need to take time to know the product and ask the right questions. 4. Financial products are often complex as they are a package of one or more instruments. Learn to break down complex products into smaller bits so you can assess if the product you buy is indeed expressing your views. 5. Do not be tempted by the high yields offered. Rewards do not come cheap, so be aware of the risks that accompany them. For example, in an equity-linked note, are you really prepared to own the stock if you have taken the wrong view? The chapter on real estate offers tips on the factors you should consider before making purchases and a list of triggers to consider before selling. 6. Asset allocation is not just for the rich and sophisticated. It is simply a plan to deploy your investable assets. The author explains how you can start your plan early, with as little as $100,000, and grow it from there. 7. Everyone with investable funds should make an asset allocation plan. The key is to think, plan, execute and evolve your plan to achieve returns that match your risk appetite and needs.